Each year, Founders Day honors the people who first established Rush University Medical Center as Rush Medical College in 1837. Special awards are presented to employees — including Jeanne Ball — who have played a pivotal role in providing the best possible care for our patients. 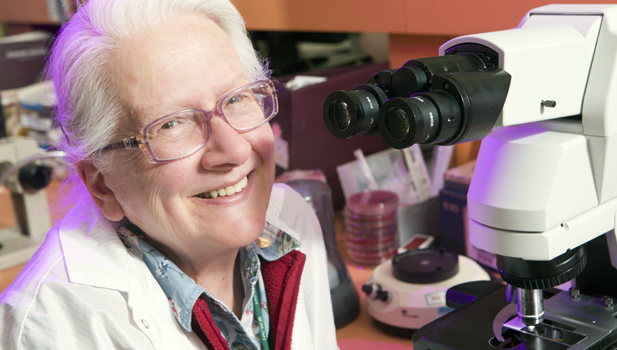 Jeanne Ball has been working in Rush’s microbiology laboratory since 1963. During her tenure, she has seen advances in lab testing, from the implementation of computers to the recent advent of molecular testing, which identifies molecular and genetic indicators to determine the likelihood of a patient benefiting from a treatment or developing a disease.